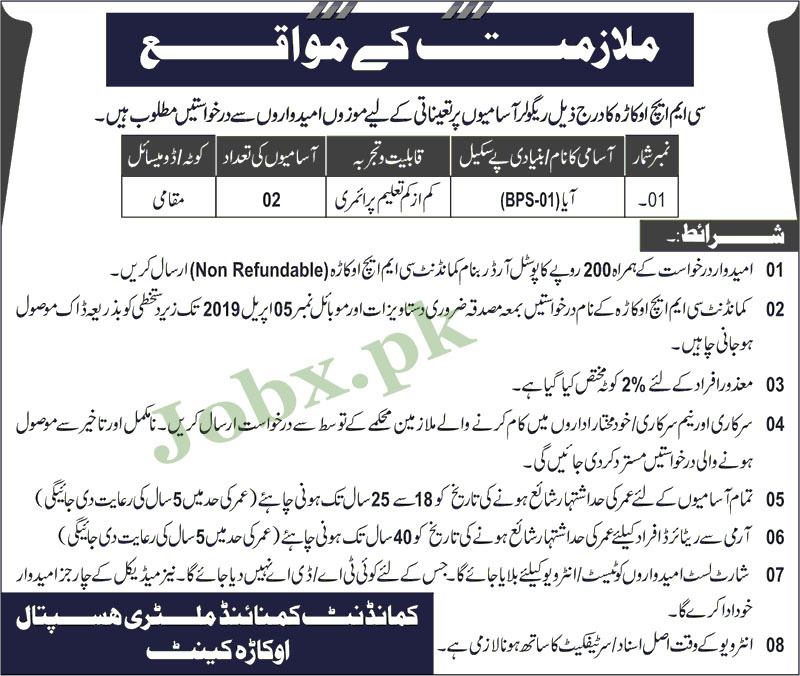 Jobs in CMH Okara 21 March 2019 for aya. Total Number of vacancies are 02. Domicile of Parka is required.